UPDATE 11 Nov 2018 - Highlights of the Grove Park Remembrance service can now be watched below. "A number of events to commemorate the 100th anniversary of the end of World War 1 are taking place in North Somerset culminating in remembrance services across the district on Sunday 11 November. Here is a flavour of what’s happening." "The parade will assemble in Weston High Street near the Italian Gardens before marching to Grove Park. 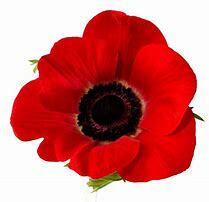 The service will begin at 10.50am with a poem by Anthony Keyes called ‘Scarlet Silence’, accompanied by a World War 1 violin played by Toby Mitchell (at around 21 minutes in the recording below)... The 415 members of the Scouts and Guides Associations will be assembled either side of the war memorial as a visual representation of the sacrifice the community of Weston-super-Mare made in World War 1 ... The Weston branch of The Royal British Legion will be providing a large screen in Grove Park so everyone can see the events taking place around the war memorial. ... for the first time the service will be streamed live on the internet via YouTube", as seen below. See also BOB's Remembrance page.